THE BOOM incorporate elements of J-pop and rock, and some include the use of traditional instruments such as the koto and shamisen, just to name a few. 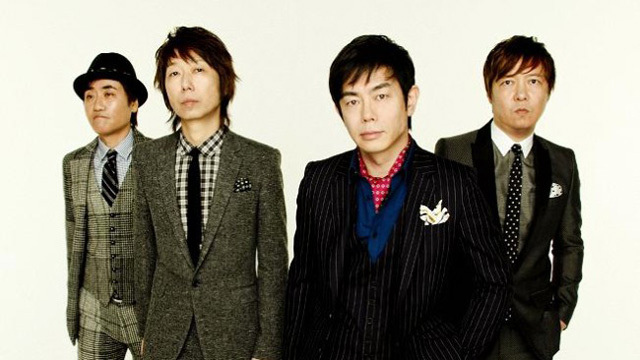 They achieved the most success after releasing the singleShima Uta in 1992 and is most recognized for the single’s title track. Vocalist Kazufumi Miyazawa who is the composer and lyricist for The Boom was inspired by the music of Okinawa. A single CD Shima-uta was released in 1993 with high sales, which reached approximately 1.5 million and brought fame to the band, around the world as well as at home. On December 31st 1993, The Boom participated in Kōhaku Uta Gassen, an exclusive show usually reserved for elite musicians. After they released Shima-uta, the group went on to perform Kaze-ni Naritai, Kaero-kana, and Tsukisaemo-nemuruyoru, but Kazufumi wanted to write more Okinawa songs, so an album comprised purely of Okinawa songs was released. Miyazawa Kazufumi released several solo albums, and composed songs for other musicians, including Akiko Yano, Kyoko Koizumi, and Rimi Natsukawa. Many people are under the misconception that Miyazawa’s hometown is Okinawa, but this is not the case.